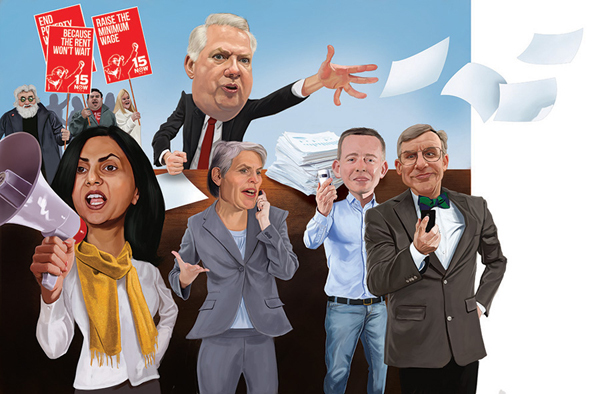 This is a double page spread illustration I did for Seattle Met magazine. The article is about the struggles the key players had in raising the city’s minimum wage to $15 per hour. Many thanks to AD Sara D’Eugenio for a great assignment.